Good morning! 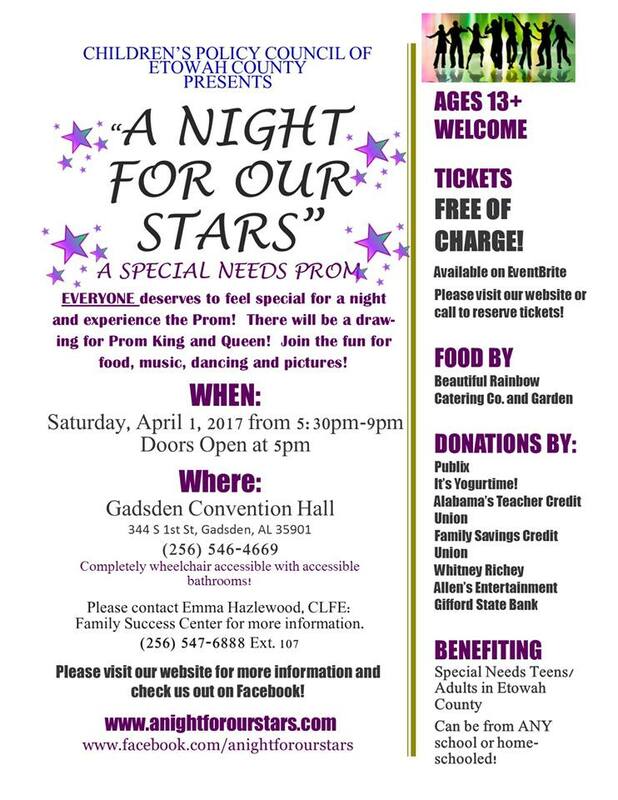 I thought I'd send you this for those students who have special needs in Etowah County and surrounding counties! My kids are homeschool students! 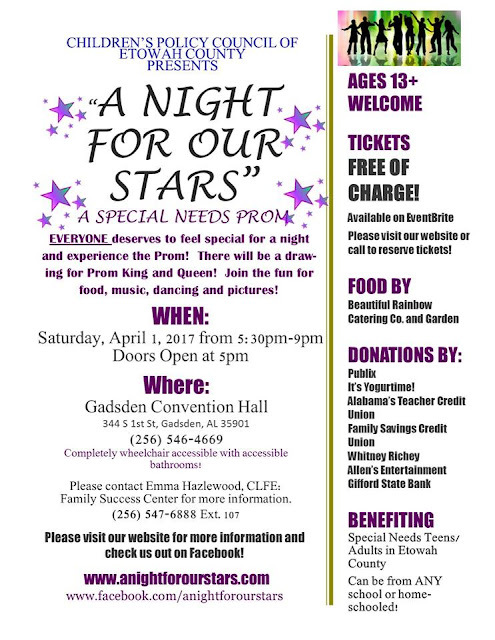 We are having a prom in Gadsden, AL for those students with ANY special needs. 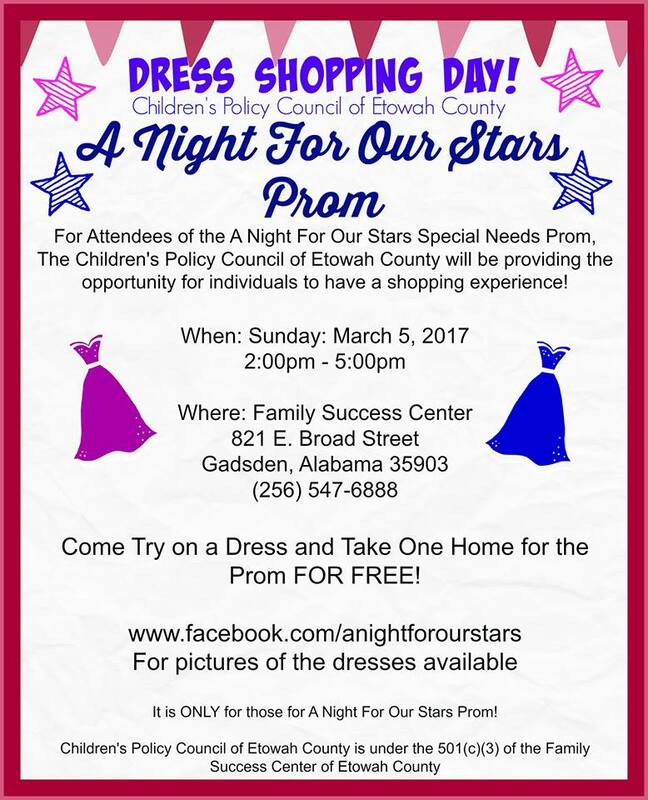 The student (even homeschooled) and their families are welcome to a free night of fun! 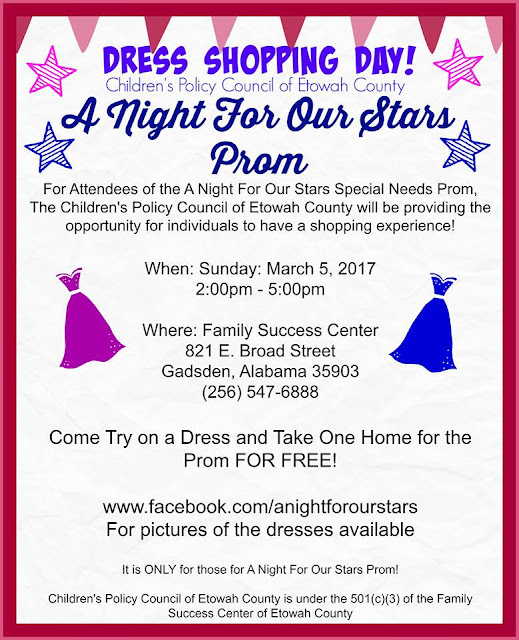 And we are offering free dresses to those girls in need. Last year was a huge success, everything free! More info here.